An electrical conductor that connects to a non-metallic part of a circuit. An electrical conductor that connects to a non-metallic part of a circuit. In electrolysis the electrodes are rods inserted into the solution and connected to an external power source. In a typical electric cell, electrodes make contact with a chemical mixture in the cell. And in medical equipment electrodes can connect metallic wires to skin. In electrolysis the electrodes are rods inserted into the solution and connected to an external power source. In a typical electric cell, electrodes make contact with a chemical mixture in the cell. 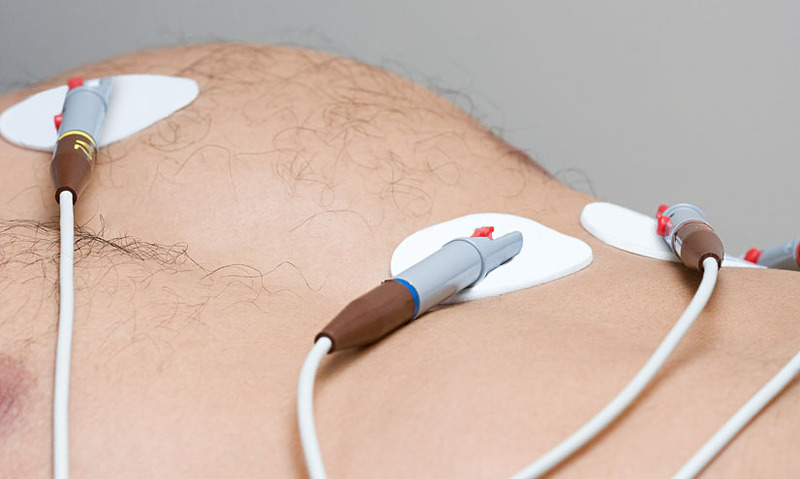 And in medical equipment electrodes can connect metallic wires to skin.